Following the decisions rendered by a federal judge during a seldom-seen Saturday, March 17 court hearing, the Orange County Board of Supervisors voted on March 19 to expend $70.5 million in Mental Health Services Act funds for “permanent supportive and shelter options” for the homeless that were removed from the Santa Ana riverbed (SAR) in February. Decisions related to a civil lawsuit between the County and Orange County Catholic Worker have been dictating the paths to housing and mental health services for the homeless population that was once living on the SAR since at least Feb. 14 when, as part of an agreement, the County would remove the people living on the riverbed into motels and hotels until the County could figure out what to do with them. The lawsuit alleges Orange County has the funding and resources to provide assistance to its homeless population, but that officials are unwilling to take effective action on the matter. That housing credits, or “vouchers,” expired on March 19 but not before the court on Saturday. The Saturday hearing was held at the Santa Ana Civic Center, as opposed to the Central District courthouse in Los Angeles, where federal Judge David O. Carter denied a motion to stop the evictions of the homeless people from their motels and hotels, but he met the plaintiff’s half-way. In an agreement, the County is to share information with plaintiffs’ attorneys about where individuals are now and what type of shelter they will be referred to. The plaintiff will have 48 hours to assess the appropriateness of referrals. No more than 100 people per day will be checked out of motels and connected to appropriate resources. According to the agreement, the County reserves the option to extend motel stays for select individuals who may need more time to have their cases examined. Direct staff to return to the board with an operational plan for the three emergency sites. People who were removed from the SAR will be placed into housing in cities in the order mentioned above, meaning it’s possible if Irvine is sufficient for the remaining population, Huntington Beach and Laguna Niguel may not receive any. However, that is unlikely, considering there were at least 700 people living in the riverbed, and the County is still shoring up numbers of people who need services. Nentwig said HCA staff made 200 attempts at contacting homeless people, who were placed into motels, which were unsuccessful during a first round of calling; 46 calls were unsuccessful in the second round; and five attempts were unfruitful in the third round. Nentwig said for people who did not qualify for services or did not need them, they will be placed in the overflow shelters located in the three cities. A timeline for these events has not yet been established as the board of supervisors needs to conduct the April 17 meeting. The Board of Supervisors recently approved another $2 million for the County executive officer to increase capacity for various categories of beds. This gives the executive officer authority to expend the funds where needed without going back for board approval. Nentwig said between Feb. 28-March 9, HCA outreach workers made 1,317 referrals for homeless people in the county to various agencies and social services, including CalOptima and OC Community Resources. During that same time period, the County’s outreach personnel completed 500 assessments for people from the SAR. This decision to move the homeless and establish shelters throughout the county has already been met with opposition. 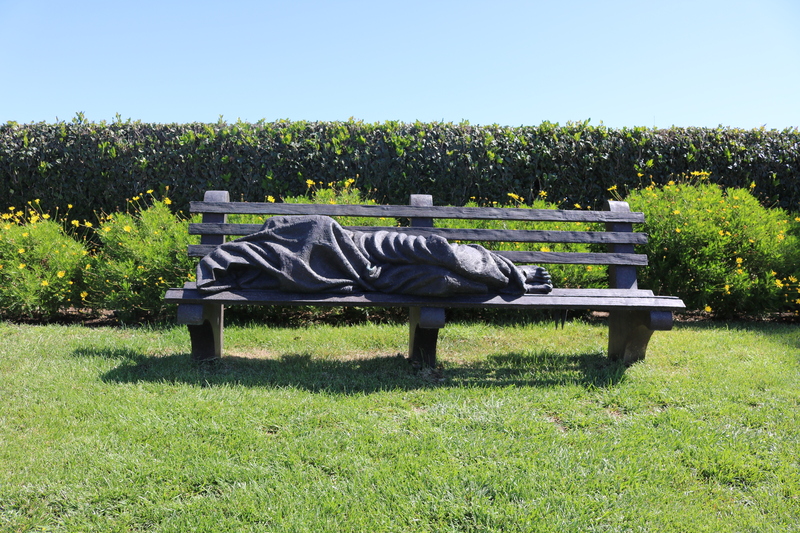 Lawsuits to be filed against the county for the actions regarding the homeless population were approved by the City Councils of Laguna Niguel, Irvine and Huntington Beach at meetings on March 20. WHAT’S NEXT: Nentwig said the shelters would be expanded as needed and the County will explore its options as to where they’ll be placed and discuss their findings at the April 17 meeting.